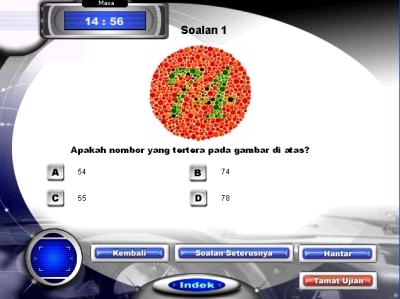 The Kursus Pendikan Pemandu (K.P.P.) 5 hour course which a potential student wishing to take up driving has to attend, is conducted by 2 lecturers. Part I is conducted by one lecturer. It stretches from approximately 9:30am to 12:00pm. The 2nd lecturer then takes over Part II portion from 12:30pm to 3:00pm. A half an hour lunch break is given to students. Most institutes have canteens. And for zohor prayers, most driving institutes have prayer rooms for both male and female students. What can students expect from the 1st lecturer in this K.P.P. course? Students can expect the lecturer to head count the attendance. So, those who wish to visit the toilet first, should not dilly-dally there too long. In most cases, the lecturer would talk about certain rules and regulations, he or she expects the students to follow. Dozing off and sleeping are amongst some of the things not allowed. They are encouraged, however, to ask as many questions as possible. This would make the class more interesting and lively. But unfortunately, this frequently does not happen. Students today, irrespective whether they come from secondary schools, good colleges such as K.D.U, HELP or Taylor’s College, do not seem to be brave and daring enough to confront the lecturer. I believe, maybe, their English prowess is weak. Or maybe their confidence to speak in public seems to be lacking. Nevertheless, to be fair, there are some older participants, who are more matured or experienced do pose the lecturer some interesting questions as the lectures progress. However, it needs to be said, the number of students who do this represents only a small minority. Usually, after introducing myself to the class, I would ask the class, if they have any problems or questions to ask me. This is important, as it “breaks the ice”. It is a good rapport between the lecturer and the students. 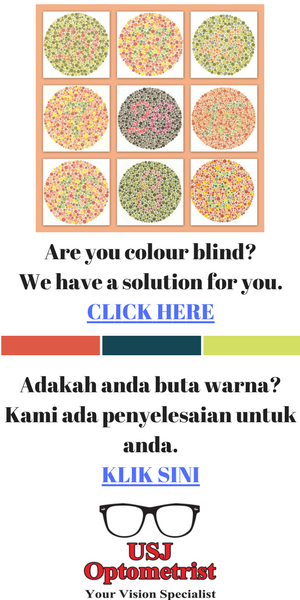 Topic number one is “colour blind test”. The lecturer will explain that all students have to undergo such a test. It comprises of 8 questions in all. To pass it, one has to secure all 8 questions correct. Failure in this test will create some problems, like having to go to J.P.J. office for an interview and later an eye test at some government clinic. In this section, the lecturer should also emphasize that students ideally be computer literate. Furthermore, a student should also not be black listed in the police or J.P.J. records. Or else they might land up being barred upon registration. All in all, there are approximately 150 signs to be learnt. During exams, Part I encompasses 15 questions in Section A. Students will be told, the sign are of various colours. Yellow denotes “danger”. Blue denotes “directions”. Red is for “prohibitions”. Orange and yellow coloured signs are for “roads being repaired” or being built. Knowing as many signs as possible is for the good of the driver. The more he knows, the better a driver he will become. A driver most fear accidents. The concept of D.A.D.A. is to be taught. This concept is said to prevent accidents. D (Define), A (Analyse), D (Decide) and A (Action) is explained extensively. Next to be explained will be planning of a journey. Planning includes when to begin, what time to begin and where to stop and rest. Also taught are to things to bring along. Pre-checking of a vehicle goes towards helping to avoid accidents. Another topic in this subject is “how accidents take place”. All in all, there are 6 manners in which accidents take place. All 6 have to be extensively explained and with diagrams and assistance of the LCD projector as well. This topic also includes “Factors which cause accidents” as well. Factors responsible are drivers, the road conditions, vehicle, the weather conditions, reflections and the traffic conditions as well. Other topics include “hazards”, safe driving distances and movement which a driver needs to know. As a guide, the lecturer will be using a text book entitled Kurrikulum Pendidikan Pemandu, a book published by Perpisma, an association of driving schools and institutes in Malaysia. It should also be reiterated that inspectors from the J.P.J. department often make surprise visits to institutes to monitor how these lecturers are being conducted. Lecturers are advised to follow the topic sequence as shown in the text book. Therefore, as lecturer number one, whose lectures stretches from 9:30am to 12:00pm, one is expected to touch upon such topics as I have advocated on top. It is advised that lecturers do not veer away from the sequence as given in the text book. This might cause J.P.J. officers some displeasure. 12:00pm – 12:30pm is lunch for the students. It will then be followed by the lecture to be given by another lecturer, who will then touch upon the remaining 4 – 5 topics in the text book. The lecture will finally end at around 3:00pm, after a gruelling 5 hour marathon. Students completing the above K.P.P. course will be issued with the J.P.J. L2A certificate by the institute concerned. This enables them to sit for the 50 questions computer test to be held at various computer centres such as MyEG and SPEED all across towns.